Rocket Junkies Aluminum Charge Wells are designed to be used with the avionics bays of Mid to High Power Rockets. The aluminum deployment charge wells are mounted to the AV Bay bulkhead with the provided stainless steel screws, washers and nuts. 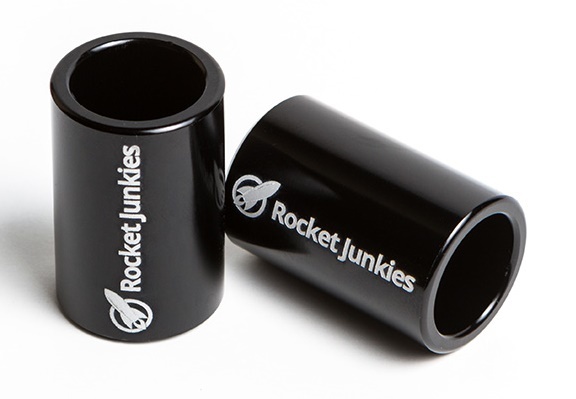 Machined from solid aircraft grade aluminum and black anodized, Rocket Junkies Aluminum Charge Wells are made to last for many flights. We recommend up to 3 grams of black powder. Please use caution when working with black powder. Safety glasses are recommended.